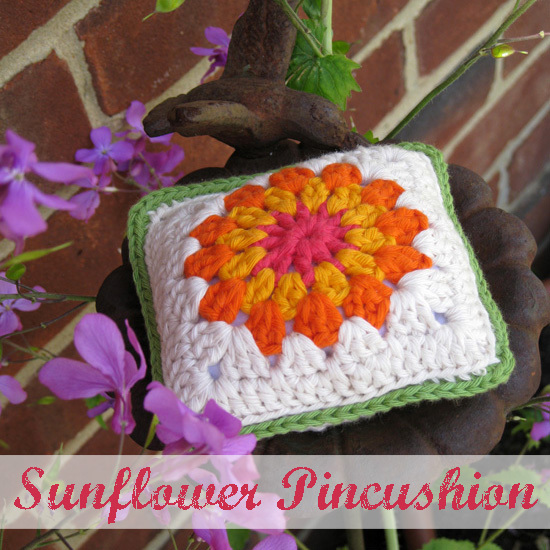 I am really excited to be guest posting at Sew Far Sew Good and House of Pinheiro today for their Pin Cushion Swap. Hi. I have just popped over from House of Pinheiro after seeing your cute pincushion. I really want to learn to crochet thisyear, it is one of my goals. Loving the pincushion tutorials, I will have a go at yours later in the year when I become a little proficient. Hi Kay, thanks for visiting and dropping me a note. Crochet is frustratingly addictive - consider yourself warned ;) Why don't you visit Lucy at www.Attic24.typepad.com. Her crochet tutorials are amazing and might help you learn a little more easily. Keri, what a beautiful tutorial. Thank you so much. I am quite bad at crochet but your tutorial is so clear I will have a go.